Firm and smooth skin, especially on the feet, can be obtained with great care, special creams, massage and sport. But you can also try some natural methods that eliminate inflammation and unpleasant appearance. Stretch marks are as sinful as cellulite. You don’t not have to be fat to you face them. In fact, stretch marks occur when there is a weight fluctuation, especially when you gain weight suddenly. 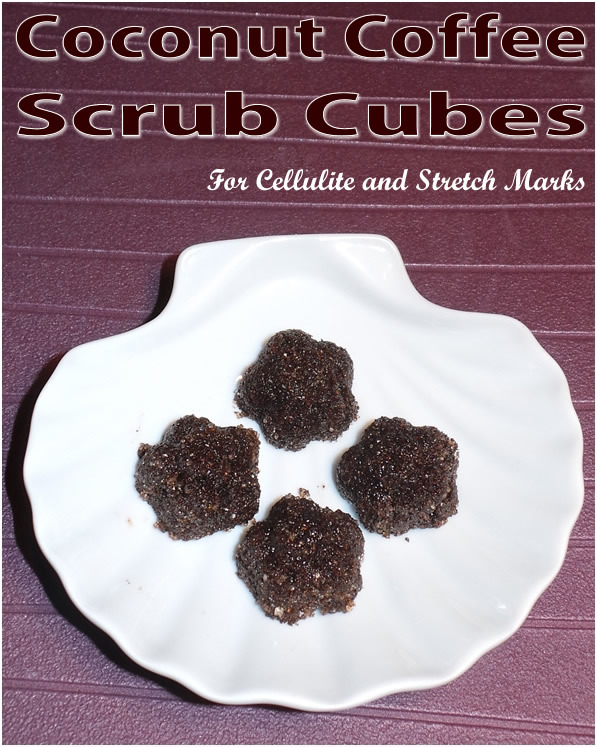 An effective solution to get rid both of stretch marks and cellulite is the coconut coffee scrub. Cellulite is a term used to describe the appearance of wrinkled skin caused by fat deposits. This can be seen in women especially in the abdomen, lower limb and pelvic. In time, it can reach the level of “orange peel” at a later stage, known as the “Honeycomb”, which is represented by swelling skin caused by the high number of fat cells in the body. Caffeine, most widely used “drug”, is a bitter substance found in coffee, tea and chocolate. It is intended to dilate blood vessels, increasing the speed and volume of blood flow throughout the body and making the heart to pump faster. Coffee grounds are often found in recipes for cellulite because of its effect on the skin. Caffeine combat poor circulation, making the skin looks more toned and firmer. Also, its regular use helps to reduce cellulite. The coconut oil deeply moisturize the skin and helps it to regenerate, though removing the stretch marks. In a bowl mix half a cup of warm coffee grounds, fresh used, with one or two tablespoons of coconut oil. After you mix it well, put the solution in the microwave for about 15-30 seconds. Before you apply it, make sure you take with you in the bathroom a roll of plastic wrap. Once you sit in the tub, apply the mixture of coffee on all areas that you want to treat, and then cover them with foil. This wraps coffee must take effect for 20-30 minutes. When you’re done, remove the plastic carefully, trying to remove as much coffee as you can. To remove all traces of coffee ground, take a quick hot shower and rinse thoroughly. Dab your skin with a towel and apply a moisturizer. Use this treatment twice a week for best results.